Maps For Canadians – Never Get Lost Again! What Are the Best Countries to Visit in Eastern Europe? Eastern Europe is a diverse region with an interesting history. Many nationalities and cultures live in the area and some of the countries were formed relatively recently. However, most countries in the area have a rich history. Many capital cities and other major cities in the region date back to the Middle Ages and even earlier. There is a lot of historic architecture in Eastern Europe: castles, old bridges and medieval towns. The major cities in the region are also great destinations for shopping, nightlife or luxury weekend breaks. The Czech Republic is sometimes considered more Central Europe than Eastern Europe. One of the most visited countries in the region, the Czech Republic is most famous for its capital Prague. It is a city of historic architecture, art, culture, museums, and a vibrant nightlife as well as great shopping. The Czech Republic boasts many other interesting destinations too; it is a good idea to get away from Prague to see the rest of the country. Many destinations attract especially those who love medieval history: castles, old towns and villages. There are also many great spas and spa hotels for luxury or health breaks. Slovenia is an increasingly popular destination in Eastern Europe. It has not yet been discovered by mass tourism, but it is popular enough to have a wide choice of accommodation and other services for tourists. The capital Ljubljana is an historic city with a picturesque old town and several interesting art galleries, museums and buildings. There are excellent restaurants, cafés, bars and night clubs in Ljubljana, and it is also becoming a great shopping destination. Outside the capital, Slovenia offers a wide range of nature attraction: countryside, mountains, lakes (such as the beautiful Lake Bled) and cycling or hiking paths. 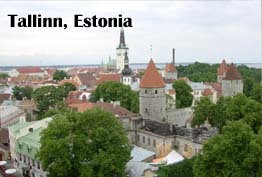 The Baltic Countries Estonia, Latvia and Lithuania are all fascinating vacation destinations. The most popular with foreign visitors is Estonia and especially its capital Tallinn, but Lithuania and Latvia are receiving an increasing number of foreign tourists. All countries have capital cities with medieval town centers, and a coastline on the Baltic Sea that is famous for its rugged and peaceful beaches. 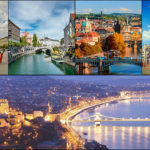 Hungary belongs to the best countries to visit in Eastern Europe and its top destination is its capital Budapest. With its beautiful architecture, castles, bridges and Gothic churches, Budapest is a romantic city with a lot of atmosphere. Its health spas have been famous for centuries, and today Budapest is also a vibrant modern city that has a lot in common with Western European cities. Outside Budapest Hungary has some great places to visit, including its famous medieval castles and the picturesque Lake Balaton region. Poland is another rising tourist destination in Eastern Europe. Although Warsaw is its capital and n interesting city to visit, Poland’s most popular destination is the smaller Krakow. This city is full of history, UNESCO World Heritage Sites, medieval town squares, Gothic churches and castles. Outside Krakow, the Auschwitz-Birkenau World War 2 concentration camps are a must-visit site for anyone who wants to understand Europe’s recent history. With so many interesting destinations, it is challenging to choose the best countries to visit in Eastern Europe. Fortunately traveling between the various countries is easy. Low-cost airlines operate in Eastern Europe, and train travel is comfortable and cheap. Canada has some of the most culturally influenced, diverse, and natural to cosmopolitan like environmental standards and experiences known to man around the globe. Whether you seek a natural environmental, such as the polar Yukon in the far northwest, to a metropolitan experience in a place like Toronto (or giving Montreal a spin! ), Canada has a little piece of home to offer to anyone and everyone. Combined with French and English, Canada offers it’s tourists from around the globe a cultural immersion experience that’s sure to knock their socks’ off, climates ranging from normal season patterns to polar ice, environmental awareness through the roof, and cuisines to drive anyone’s taste-buds wild! 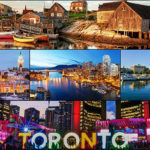 We put Toronto at the top of our list because it offers one of the largest city environments and experiences throughout. With one of the world’s once largest skyscrapers (think: Sky Walk), you can imagine yourself in a cleaner, safer, and friendlier New York City. From Koreatown to heritage based French cuisines, there’s a little bit of something for everyone! Toronto also has pockets within its city known as little India, and even Greektown! Every visitor feels welcome, and in this lush and lavish city the adventures are countless! The Royal Ontario Museum is a site to see, modernized and equipped to tell the stories of the Canadian heritage and culture, while smaller museums fill the pockets of both old and modern Canadian history. If you fancy architecture and art, then the Art Gallery of Ontario has many beautiful, long-lived famous paintings to view, and you can top off such an adventure with a visit to Casa Loma, a beautiful, real-life Castle! End your visit with a stop at the Toronto Zoo, and see some of the world’s most amazing animals–including the Grizzly Bear! Finish your trip at the St. Lawrence Market! You can find nearly any and every kind of vendor here, mingle with the locals, and experience all the different foods, clothing styles, and other trending items that Toronto has to offer! 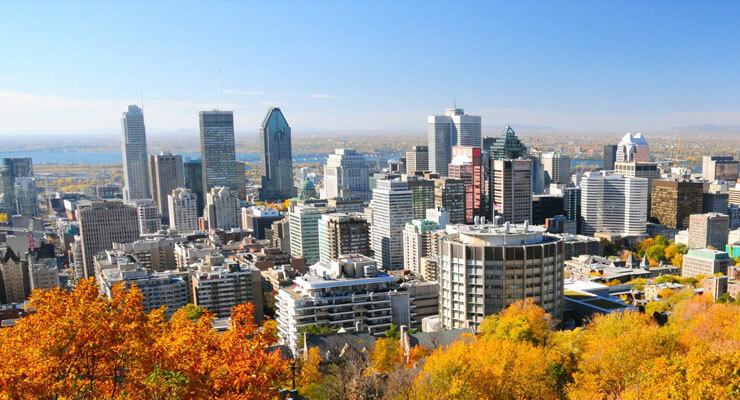 Similarly to Montreal, Quebec City is filled with 17th and 18th century architecture, cafes, restaurants and shopping centers up the wazoo’! The environmentally friendly components of this city is recognizably one to follow by other countries, and the bicycle seems to be the dominant mode of transportation here! Without traveling to France itself, the cobblestone streets, their small size, and the French language usage here is sure to fool anyone and provide them with the ultimate French experience–even know they haven’t crossed the Atlantic! While having a ‘metropolis’ of its own, Vancouver also touts endless forests, zip lining activities, bridge-walking, and the ultimate pub-experience! Known originally as a ‘gastown’, this was a place for settlers and workers to hit the local pubs, socialize, and put in work locally or visit during travels and work commutes on the sea. 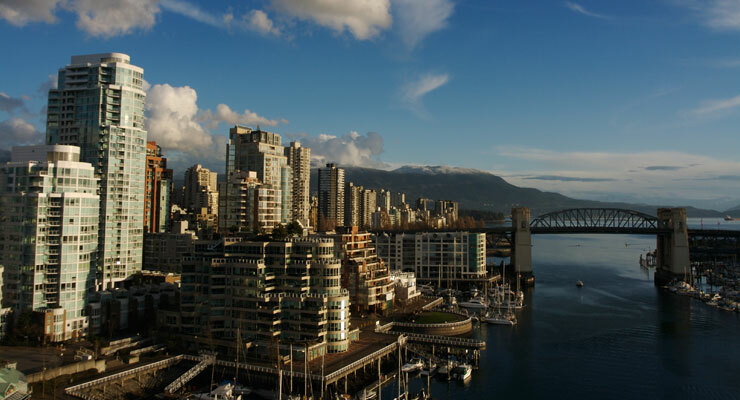 Vancouver has some of the most stunning views, and is a nice mixture between a rural and suburbia-like experience! 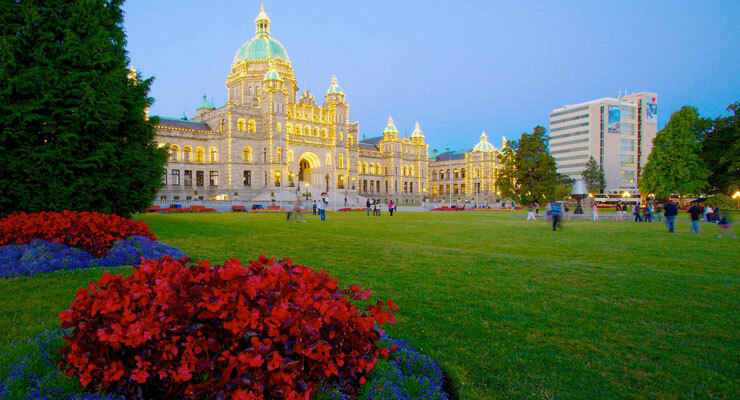 If you’re seeking to experience a British-influenced colonial environment, then Vancouver Island is the perfect place to start! Although an island, having tea and visiting the parliament are of easy-nature, and meeting new people and making friends is a breeze in this colonized island! Fill your time with exploring museums, or take a ride on the local ferry! The harbor views are stunning, and are sure to fill your mind with the love, memory, and heritage of Canadian lifestyle! As far North as it is, Nova Scotia is not impossible to find! 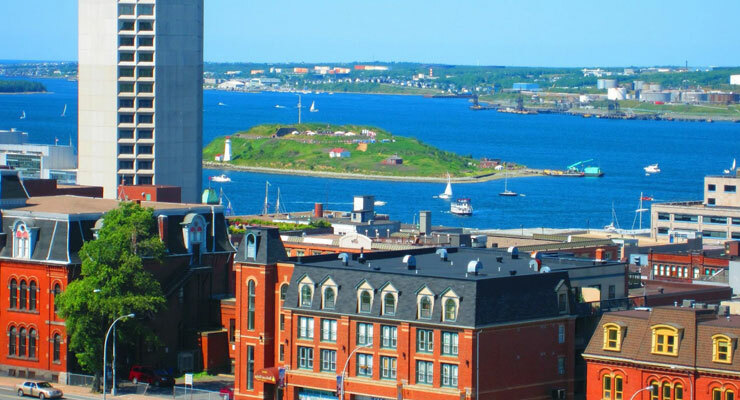 Nova Scotia is actually popularized by its bustling city known as Halifax, offering breathtaking views of the ocean and a culture that’s sure to make anyone feel welcome! Between its port-businesses and multicultural epicenter, Halifax is sure to hit the spot with its wide seafood selection, usage of the French language, and sights to see! Halifax is full of sky-scraping condominiums, high-class restaurants, cafes, bars and more! Check out the local Halifax Harbor Ferry, the museums, Point Pleasant Park, the Waterfront Boardwalk, and the popular Halifax Central Library! If you enjoy horticulture then the Halifax Public Gardens are sure to take your breath away! Canada in general being as environmentally friendly as it is, holds some of the most fascinating, natural, wildlife preservation, and even hiking trails and camp-sites that words alone cannot depict the beauty of! They say that beauty is in the eye of the beholder, but almost everyone can appreciate a lovely beach in a wonderful location. The golden sand, clear blue sea and the bright sunshine will bring a smile to anyone’s face. But what are the world’s most beautiful beaches? This idyllic beach has all the hallmarks of what makes a beautifulbeach. A popular attraction for tourists, especially those who like to party. Sunrise beach, which is on the islands peninsula Hat Rin, has something of a reputation for its full moon parties. If you have never been to one of these epic beach raves you are really missing out, the parties started out as small events but have grown over the years attracting partiers from all around the globe. If you are a single male in your 20s or 30s then these events are a great place to meet single Thai girls. So, do yourself a favour, if you are planning a trip to Thailand, do not pass up a chance to experience the revelry first hand! 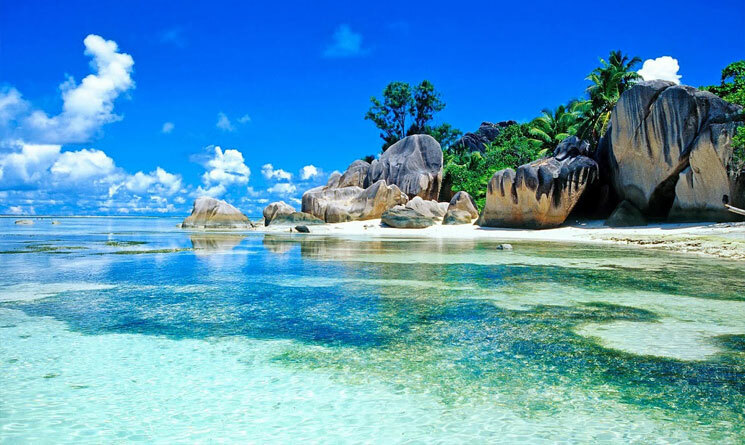 What list would be complete without the beautiful beaches of the Seychelles? The Island of La Digue is home to a lovely pink sandy beach in front of striking granite boulders. 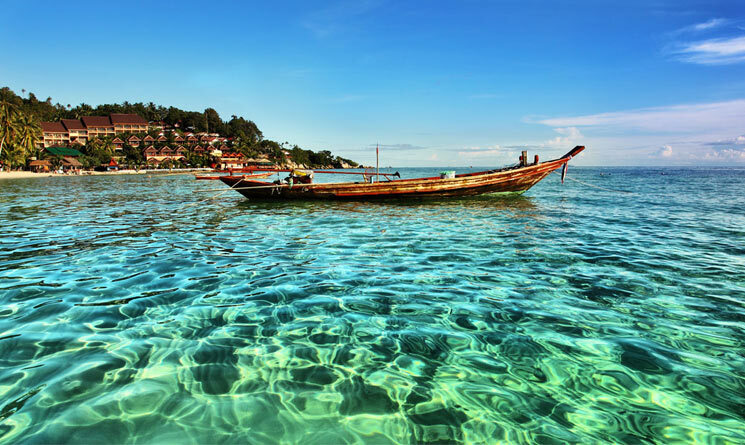 Add to that crystal clear water and it’s a no wonder it’s one of the most photographed places. Now if you had a picture in your mind of the perfect beach, this may match it. Palm trees over hanging beautiful white sand and a coral reef nearby. 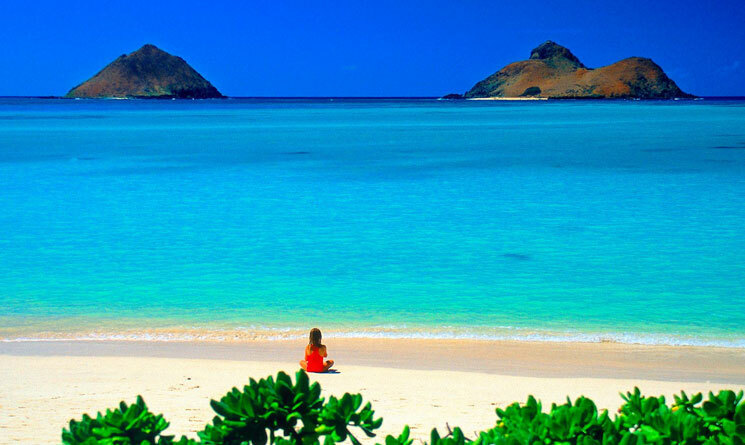 Lanikai Beach is a truly wonderful sight, with picture postcard views. A lovely turquoise sea and sandy beach will greet you at this idyllic location. Made all the more dramatic by the towering rocks that rise triumphantly out of the water. Plenty of space to stretch out and relax. This sandy paradise holds a special place in Brazilian’s hearts, hovering somewhere between Shangri-La and Atlantis in many Brazilian’s imaginations. It is said that on Fernando de Noronha Island even the sharks are friendly. 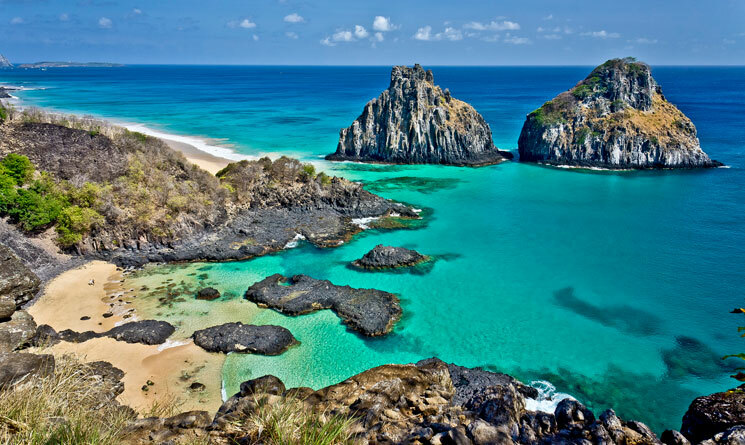 The remoteness of the island enhances its exclusivity and mystique – and as a result It is not cheap to stay there, many Brazilians and foreigners alike shell out good money for the opportunity to find romance in paradise and lately the island has become a popular destination for newlyweds to spend their for honeymoon. But many find the island a little too extreme for their liking. This is a beach that can really make you feel like you are on a desert island. This very secluded spot is a beach comber’s paradise and just happens to be beautiful as well. 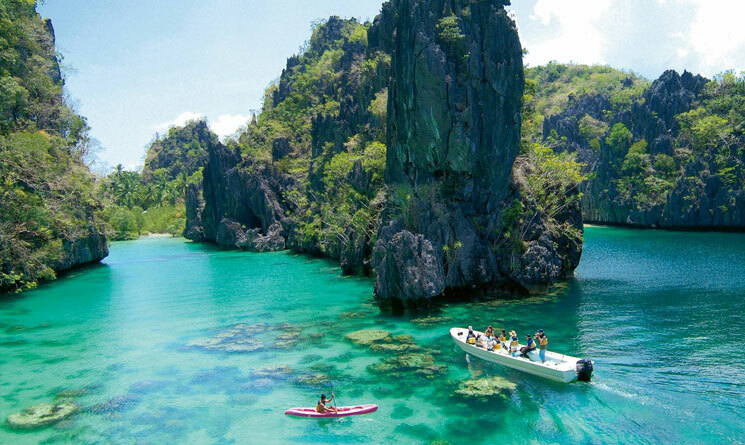 The island is a meca for international party goers and water sports enthusiasts, and the fact that there are hundreds of beautiful brown skinned Filipinas littering the beaches only adds to its allure as one ofthe World’s best beaches. This is a really stunningly beautiful cove that is at the base of towering white cliffs. The water is as clear and as blue as you will ever see. It also holds a little secret, a ship wreck, yes a ship wreck, left behind by smugglers. What more could you ask for? 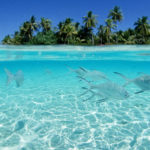 This is only a small sample of the wonderfully beautiful beaches you can find all over the world. It doesn’t even have to be warm, Durness in Scotland may not be bathed in sunshine, but it is very beautiful. There is a little spot of sandy perfection for everyone out there somewhere. So wherever you decide to travel, take your towel and save some time for a little relaxing on the beach. There can be nothing as calming as sitting on the banks of a water body, sun cap on, bait set and line waiting to reel in the catch of the day. Whether you are in a boat, on land or even sitting on a precarious ledge, there are some fishing spots in the world that are simply impossible to beat. Here are some of the best global fishing spots that you absolutely must visit. Lough Corrib in Connemara Ireland is one such fishing destination. The month of May is the best month to catch some red-colored Corrib Trout. The village takes on a festive atmosphere with fishermen congregating from all around on this little fishing spot. Fish the traditional way by hooking a live mayfly, and holding it on the surface of the water to bring in the trout. Prince Edward Island, famously called PEI, is located in Canada and is surrounded by other islands as well. PEI is one of three maritime provinces in the world and is the smallest nation in terms of area it covers as well as population. Its scenic beauty gives it several other nicknames. 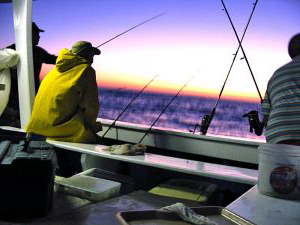 The fishing opportunities here are plenty here, and you can set out at any time of the day or night. 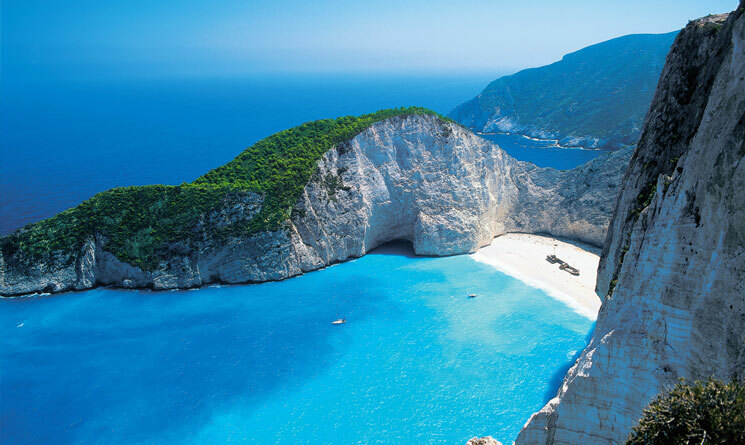 Greece’s Ionian Islands: A collection of islands that is located to the west of Greece and reminiscent of classic Italy. 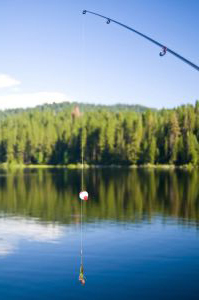 They get plenty of rainfall, have lush greenery and fishing spots that will make you feel good about the sport. There are several private boats that will take you to some of the best spots for fishing, and you can spend an entire day out on the calm waters here. Just be sure to book ahead as hotels fill up fast in high season. South Stradbroke Island, Queensland, Australia — You may not leave with baskets full of fish, but you will get a chance to catch flatheads right on the surface of the water. Besides that, you will be able to see several humpback whales trying to touch the horizon and numerous wallabies poking their heads out of the sand dunes. There is so much to entice you into casting your line out into the sea here. Rio Grande, Tierra del Fuego in Argentina is considered the Mecca of fly fishing. It can be an expensive affair and will take you a while to get organized, but once you have done the paperwork and gotten the right materials for the task, you are in for a brilliant adventure.